Do you love giveaways? Me too! Today on Simply Sutter Im kicking off day one of my holiday giveaways ( how to enter below). For the next 7 days I’ll be sharing a new giveaway along with how to enter. During the year I cultivate some amazing items I know you would all love so that I can share them all with you! This year I’ve got some AMAZING items for you all ranging from beauty, accessories and more! Plus it’s a great way for me to show my appreciation to you all for the support you have shown me and my business! That means the world to me and I’m forever greatful! 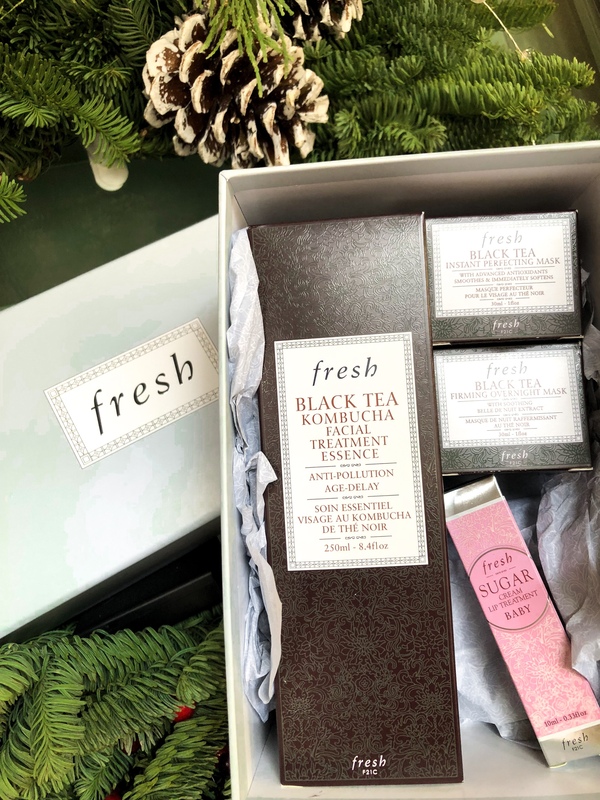 Today Im giving away a skincare box from Fresh. I’ve been a lover of their products for sometime now and can’t wait to give one winner this black tea set! I’ve also added in one of their lipglosses in baby! This lipgloss is one of my go to’s. Such a great gift to win!! It could be for you or a gift for someone else. Wondering to enter? To enter it’s super easy just pop on down to the entry form below! Make sure you complete each one! As each one gets you one chance closer to winning! All winner will be chosen and announced on here on December 10th. P.S thank you all so much for the birthday wishes on Instagram so kind of you all I had such a great day! I woke up to a million kisses from the puppies! We went to church then headed to brunch with friends and family! Awesome giveaway! Fresh products are awesome! I’ve always wanted to try their lipgloss! I’m super excited to see all the giveaway prizes! So fun! The only Fresh products I’ve tried before are the Sugar lip balms – excited to try more. Great Giveaway!! What a way to kick things off. Fresh rose lip balm is my jam!